Alberorovesciato are Francesco Cavaliere and Marco Lampis. Francesco was born in Piombino, a little harbor in Tuscany; he moved to Bologna to study musicology. Marco was born in Cagliari, chief town of the mystic island of Sardinia, the mythic Atlantide; he moved to Bologna to study fine arts. So they met in Bologna, in a network of 20 musicians called Phonorama, before their move to Berlin where they started to play music influenced by traditional music like voodoo drums, gamelan, vietnam improvisers, cambodian pop music, arab music and radical improv free jazz. 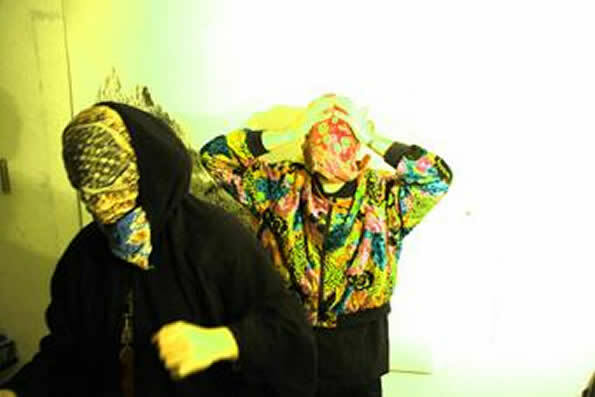 They say they both come from a noise, concrete music background but are now focussed on a more mystical approach, escaping from pedals and digital effects to find physical contact with the instruments. is now, unfortunately, sold out. Copyright © 2005-2019 | All Rights Reserved.